SAVE!!! 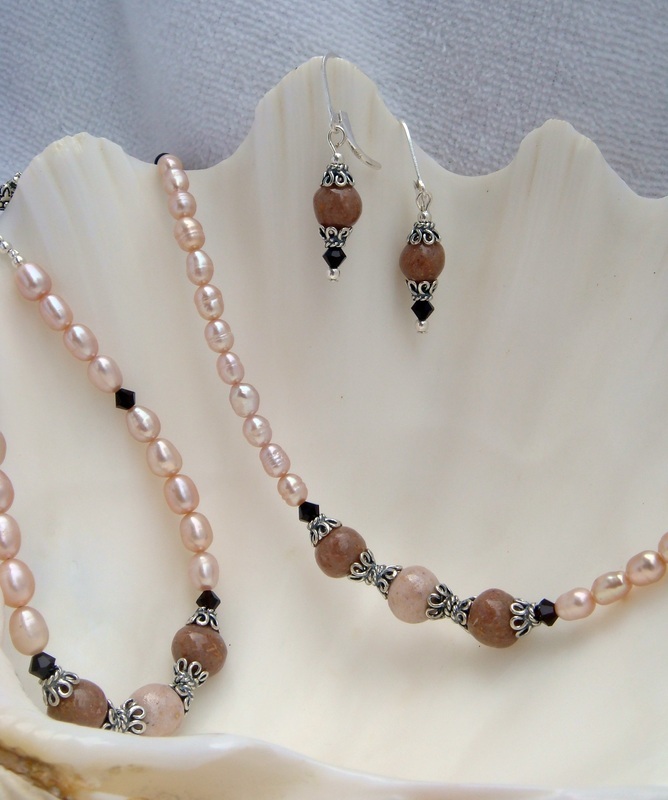 Buy this freshwater pearl set and save $35.00. Purchased individually, this set would cost $185.00. The set includes necklace, bracelet, and earrings. Your keepsake flower petal beads are the feature of each piece in this set. All pieces include sterling silver Bali bead caps, sterling silver findings, and Swarovski crystals. Handmade floral keepsake beads, freshwater pearls, sterling silver Bali bead caps, sterling silver findings, Swarovski crystals.